Grew Up… in a village in Tanegashima, Japan. Mako grew up with her mother Sumako and father Masao Mori, who was a sword maker. When she was just a young girl, Mako became separated from her parents during a Kaiju (massive amphibious creature from another dimension) attack on Tokyo, and came face to face with the enormous Onibaba Kaiju. Just as the Kaiju was surely about to kill her, Stacker Pentecost saved her while piloting his Jaeger, a giant mecha robot designed to kill the Kaiju. Living… in Hong Kong. Mako lives with Pentecost who adopted her after the death of her parents. She and Pentecost live and work at the Pan Pacific Defense Corps inside the Shatterdome in Hong Kong. Profession… Jaeger mechanic, and aspiring Ranger. She enrolled in the Jaeger Academy, a program designed to train pilots to combat the invading Kaiju, and quickly became a skilled technician specializing in mechanics and engineering. Mako’s job is to repair the old Jaeger, Gipsy Danger, which belonged to former co-pilots and brothers, Yancy and Raleigh Becket. With the guidance of Pentecost, Mako also trains to become a skilled Ranger, with record-setting scores on the Jaeger simulator. Relationship Status… single. In the midst of chaos during heightened Kaiju attacks, Mako hasn’t had a lot of time for relationships beyond the close and respectful relationship she has with Pentecost. She can barely make friendships or socialize with those she works with, and spends most of her time alone. 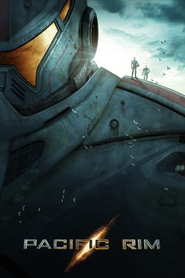 However, when she helps Pentecost recruit the former star pilot, Raleigh Becket, the two seem to share an intensely personal connection that might just make them “drift compatible": the ability to share emotions, thoughts, and memories with another person in order to successfully control a Jaeger. Challenge… overcoming her fears and proving herself a capable pilot. Mako’s life has been traumatic due to the death of her family, but this only fuels her desire to prove herself and to fight the Kaiju. Although she clearly proves that she and Raleigh could be the perfect co-pilots for each other, Pentecost still has many reservations about her entering the battlefield. She’ll have to convince him to let her fight as well as prove that she can handle the pressure of a real Kaiju attack. Personality… intelligent, reserved, methodical, and resilient. Mako is a skilled technician and could be a great pilot one day. Her attention to detail and her discipline make her a reliable and trustworthy teammate. She is very shy, polite, and introverted, preferring to avoid others and put her mind to her work. However, Mako can also be strong-willed and headstrong when it comes to getting what she thinks she has earned, and she’s more than willing to be bluntly honest about it. Mako Mori's popularity ranking on CharacTour is #385 out of 5,000+ characters. See our top-ranked characters and read their profiles.